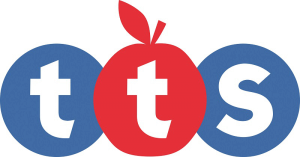 Visit the interactive and exciting Learning Location created by TTS. 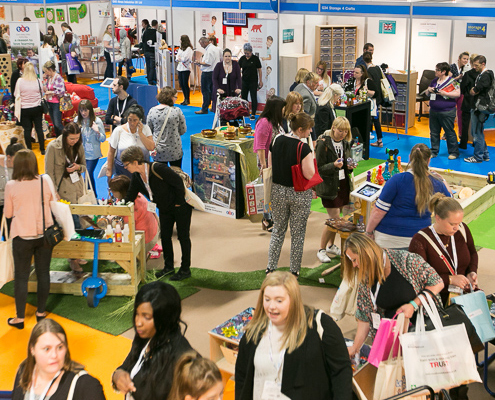 You will have the opportunity to explore three zones packed full of activity ideas which encompass all areas of the EYFS and focus on the Creative and Curious child. 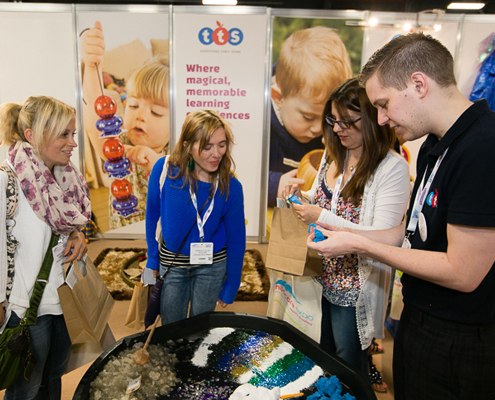 Create sensory learning opportunities that excite and engage young children. Heighten the provocation for learning by adding extra sparkle and stimuli to your teaching. Wander into an illuminated magical den and stimulate your senses. Immerse yourself in a mystical world – walk amongst dinosaurs, step onto a lunar landscape or explore a jungle terrain. Engage all the senses in magical, messy play experiences. Discover new approaches that provide quality learning experiences. ICT does not have to be all about the computer. Learn how to build castles that glow, stack pebbles that shimmer and write letters that illuminate. 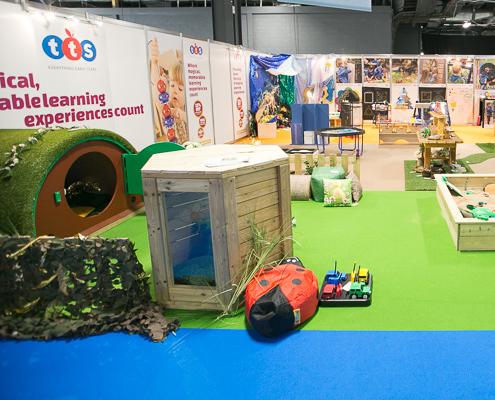 Enter our sensory zone where you will find all kinds of learning provocations and catalysts. We’ve created lots of light up learning scenarios for you to experience! Experiment and explore with glowing construction and pebbles. Experience small world landscapes on light up panels, magical mark making, early programming and so much more. Experience this lovely space which is brimming with resources designed specifically with babies and toddlers developmental needs in mind. There are things to stack, roll and nest. 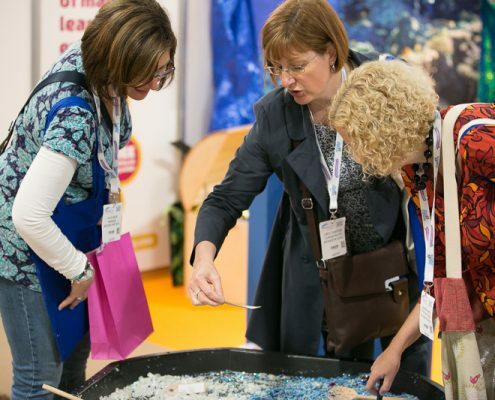 Encourage curiosity, investigation and help the youngest children to make vital connections. Tried, tested and designed specifically for 0 – 2year olds. 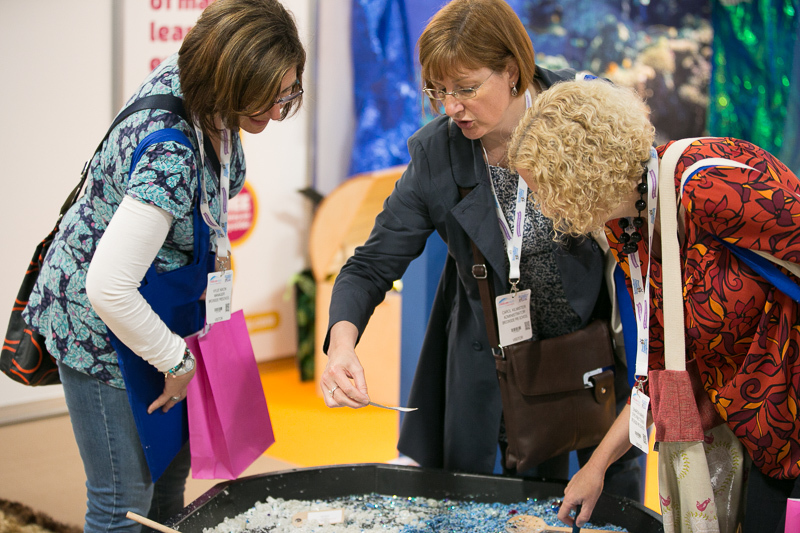 Enter the exciting immersive zone to discover a wealth of creative and messy materials to mix, mash and stir into exciting concoctions! 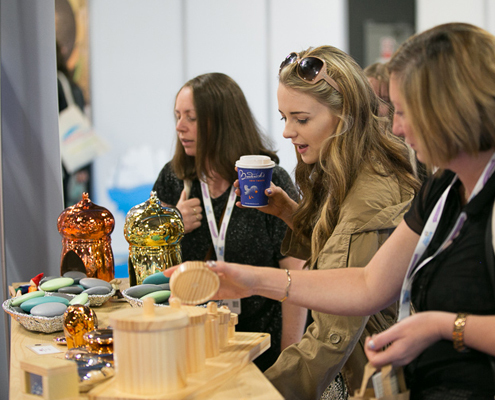 We’ll have a whole host of innovative art materials ready for you to try for yourselves using a range of creative surfaces. Mark make on a large scale, get stuck in at the messy station and discover how to create a versatile immersive environment!